In Argentina, the gauchos, the polo matches that animate the pampa and the rides that connect the estancias are more than just cultural symbols. They are the soul of the country, the history of a fundamentally solitary people of horse riders. Welcome to the world of La Bamba de Areco. 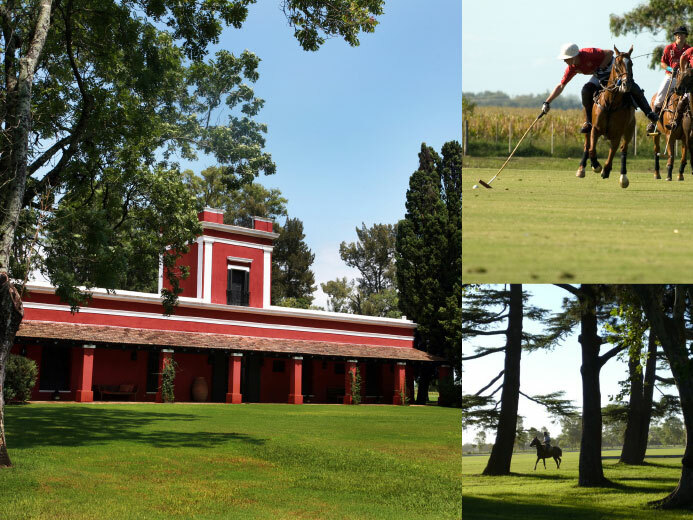 A hundred kilometres from Buenos Aires, lies the region of Pilar – known as the Mecca of polo players – where one encounters Argentine lands that are open to the infinite: fields of corn, green fields, linear alleys of trees and a few lost homes as points on a map. Then, without warning, we swap this elegant landscape for a dirt track…as if we’ve just opened the pages of a good book. A novel that would instantly revive the route of El Camino Real, the ‘royal road’, which connected Buenos Aires to northern Peru for decades. 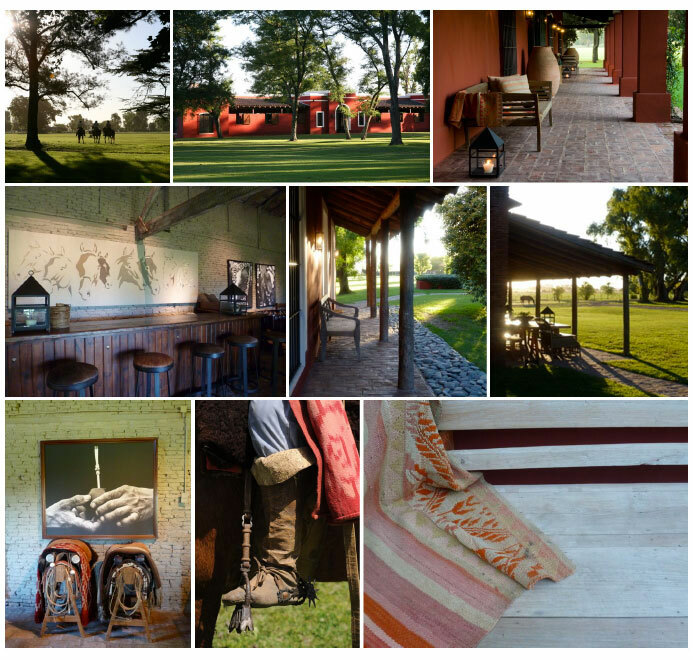 After a few kilometers, La Bamba de Areco is discovered through the foliage of a row of plane trees: the horsemen at roam the land full gallop while the huge colonial style estancia stands tall with its red ox-blood walls. The sharpened lines, geometric shapes and architecture of the place reminds one, if needs must, that this former coaching inn was built in 1830. Especially the Pulperia, the historic redbrick annex topped off with a windmill, evokes all the myths of the pampas and its gauchos. Pictures in black and white of horses adorned for the big shows and hands beautifully laced with ‘wrinkles of use’ compliment braided leather seats, with wooden tables and imposing fabrics in faded colours. 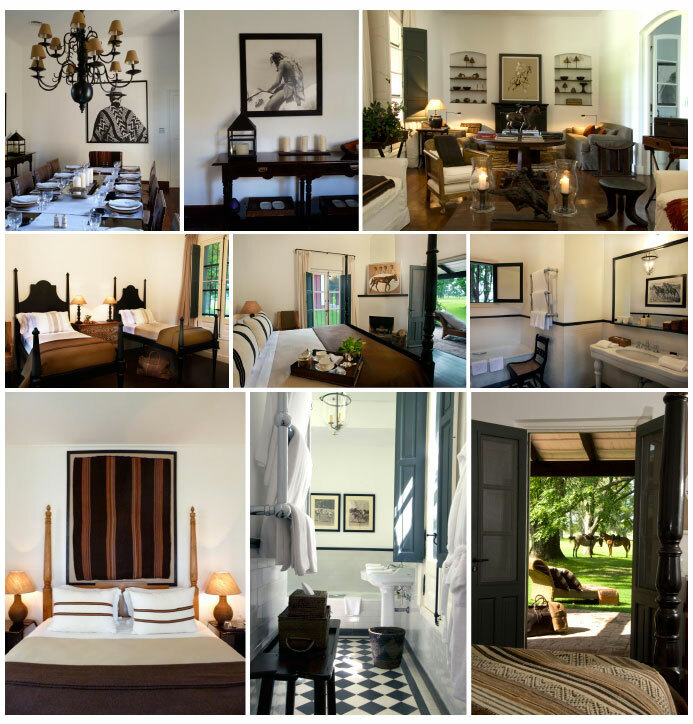 The secret of La Bamba de Areco lies in the mix of refined details and rough walls. The elegance of an interior punctuated by art, amber decanters of whiskey and beautifully caned blond wood chairs that dialogue with this open plain that has been ploughed by the hooves, nurtured with traditions, and perfumed by the asados and other parties held around the fire. In this cinematic setting, the 11 suites are shelled around the main house, each with their own personality. Each room is a paradise of simplicity with four-poster beds and dark wood, stoles streaked with earthy colours, ancient sinks and a unique sense of living at one with the landscape. 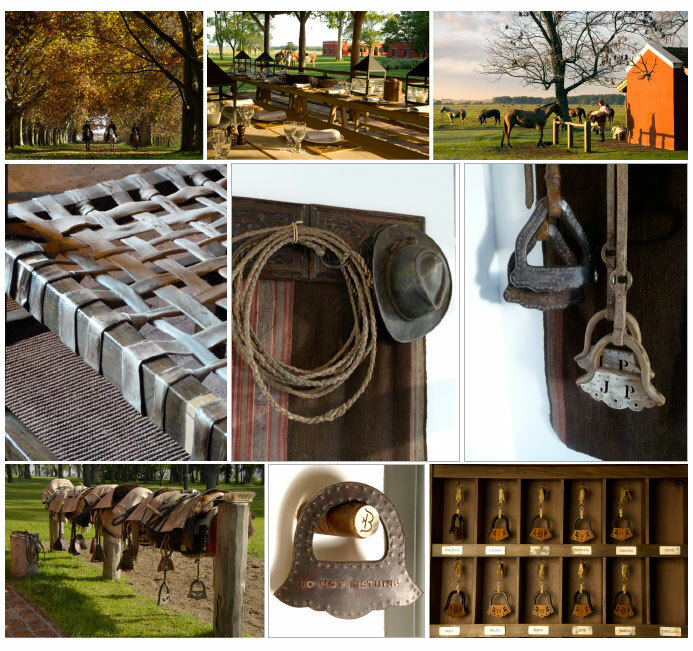 There is a simplicity that fits even better with the boots of hackneyed riders, a feeling of a firm handshake, and an equestrian spirit that saturates the day. This world of gauchos has not lost its soul in the face of modernity. 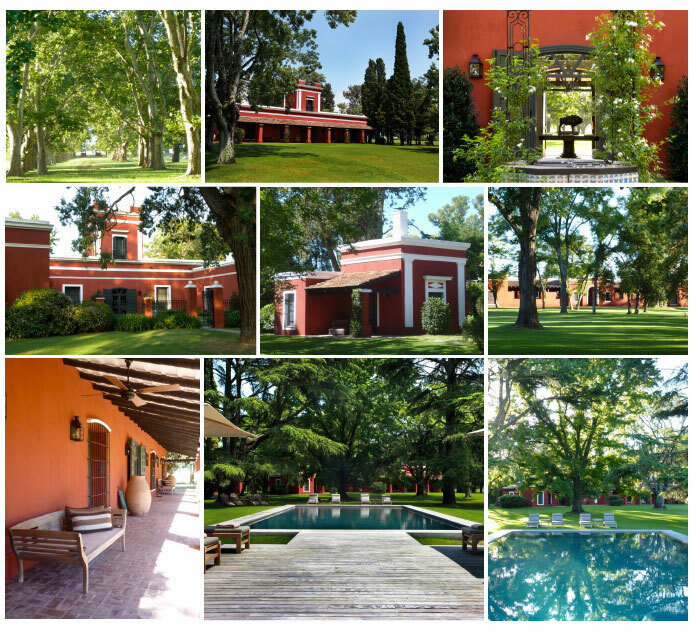 La Bamba de Areco is a rare place, made in the image of the cavalier hosts, a haven lost between the rich past of a forgotten Colonial World and the infinite luxury to live an authentic Argentine escapade.